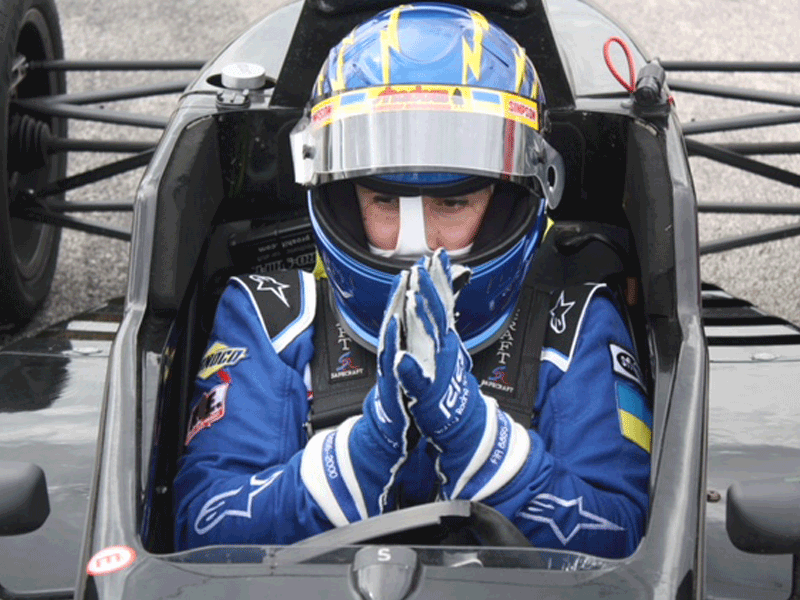 Only a year ago on March 1, 2017, Oksana Shavaryn-Sharkey arrived at Andersen Race Park in Palmetto, Florida to begin her racing career. She had already started American Ukrainian Racing, Inc. (AUR), and her husband Jonathon was the primary driver. Since then, she has found success and even racing victories. In May, Oksana not only won her first TaG/KF1 race,AUR won its first ever Series Championship with Jonathon. Her popularity is reaching many parts of the world. Anyone wishing to contact Oksana, can reach her on her Athlete Page. In August, Oksana even defeated Jonathon during a race. As she explained to Tampa Bay Fox 13 sports reporter, she was happy about the victory. However, Jonathon was upset about losing to his wife. Can you imagine, if Jonathon was upset about losing to Oksana, how do you think other male racers feel about losing to her? 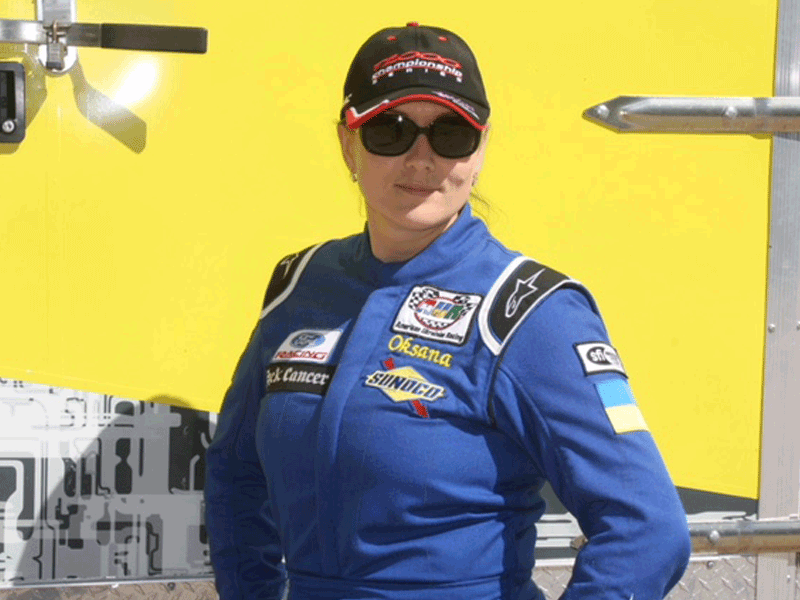 Then in October, Oksana drove a F2000 racing car at Sebring International Raceway. This would change Oksana’s whole outlook and plans for her racing career. Like all Ukrainians, Oksana learned how to drive with a manual transmission car when she was younger in Ukraine. When she came to America in December 2011, Oksana bought an automatic transmission car. She quickly became comfortable driving an automatic car, just like most Americans. When Oksana started racing in Karts, they did not have a manual transmission. Oksana raced without having to worry about shifting. In May, she bought a Ford Mustang racing car. The car had a 5-speed manual transmission. It took Oksana several practice sessions to become accustom to shifting while racing.She hated it. However, though the F2000 racing car has a 5-speed transmission, the shifting is done with peddles on the steering wheel. It does not require the use of a foot clutch. Oksana instantly became in love with racing with steering wheel peddles. Her love for the F2000 racing car would start her re-thinking about her racing goals and future. With hard work and success always brings great rewards. 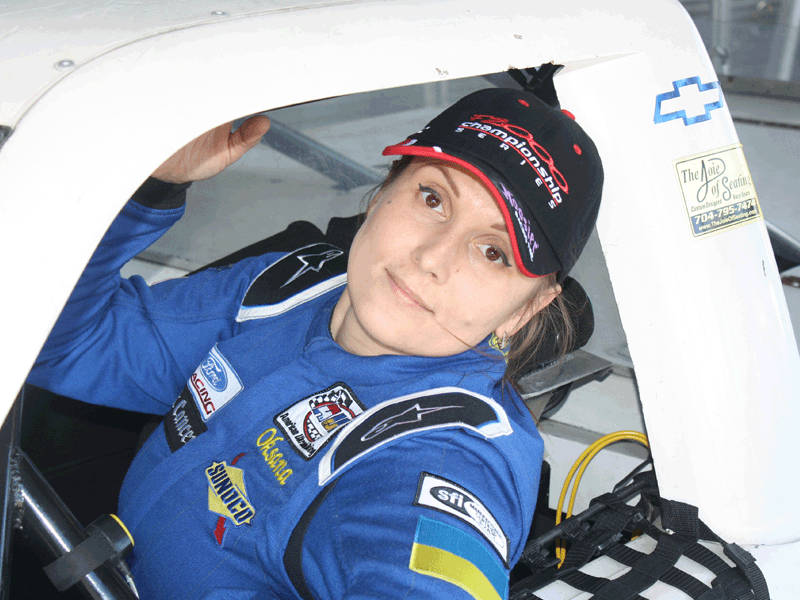 Oksana has renewed her sponsorship with Sunoco Racing Fuels. Though Oksana has offers to compete in racing series in Europe, Oksana has decided to continue her racing career in America. Oksana has agreed to race with the Mazda Road to Indy Series, in the USF2000 Series, and the F2000 Championship Series. As well as in SCCA. The F2000 car looks almost like an IndyCar. But, it is smaller in width and slower in speed. It has a top speed of 150mph. The Series races with the Indy Racing League (IRL), racing at most of the tracks the IRL. It is a great development series. It is owned by Dan Andersen, the owner of Andersen Race Park. 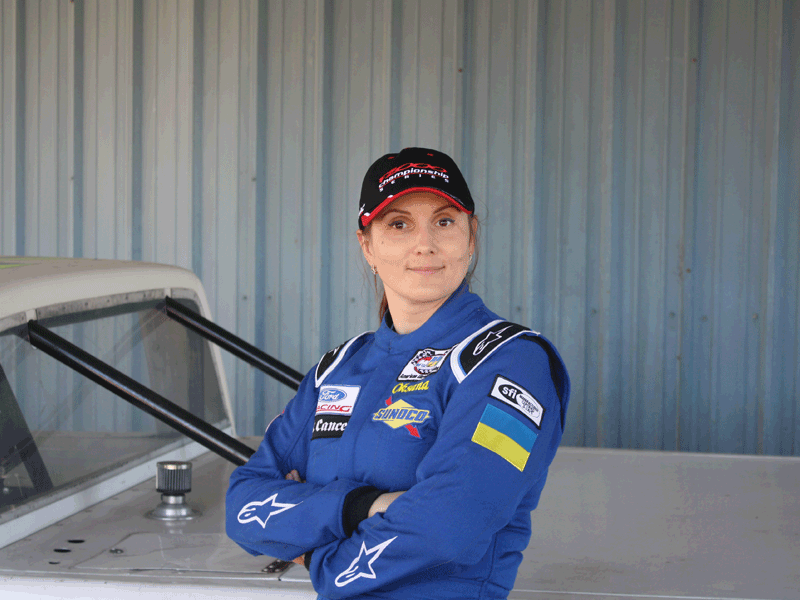 Like all racers, Oksana is actively seeking sponsors to join her and AUR as she becomes the only Soviet Born female to race in a major American racing series. Though Oksana is practicing on oval racing tracks in different racing vehicles, she is undecided if she wants to become the first Soviet Born Racer to compete in the Indianapolis 500. Oksana still wants to race the famed 24 Hours of Le Mans. Besides her racing, Oksana is still working on raising funds for her cancer center in Ternopil. In November 2017, the US IRS approved Oksana’s application for the center to have a US 501c(3) status. This allows Oksana to receive Tax-Deductible contributions for the cancer center and to purchase items in America for the cancer center without paying any State or Federal taxes.